In 2016 the Kawasaki KX450F was the newest, brightest star in the 450 class. Now, two short years after it got a new chassis, new suspension and massive change, the Kawie has a different role; it’s the old-school alternative. How could a motorcycle go from cutting-edge groundbreaker to the safe-and-sane standby of the class so quickly? It wasn’t because of anything Kawasaki did. 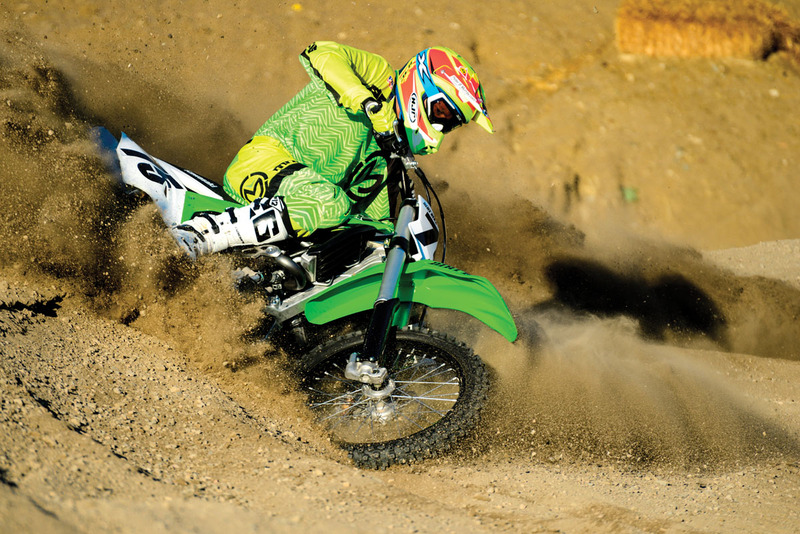 The KX450F is an island of security in a blur of rapidly changing standards. It’s as effective as a racer as it ever was but without the glamor of being the newest bike of the week. Kawasaki has arrived at a neutral handling package that has no natural enemies. 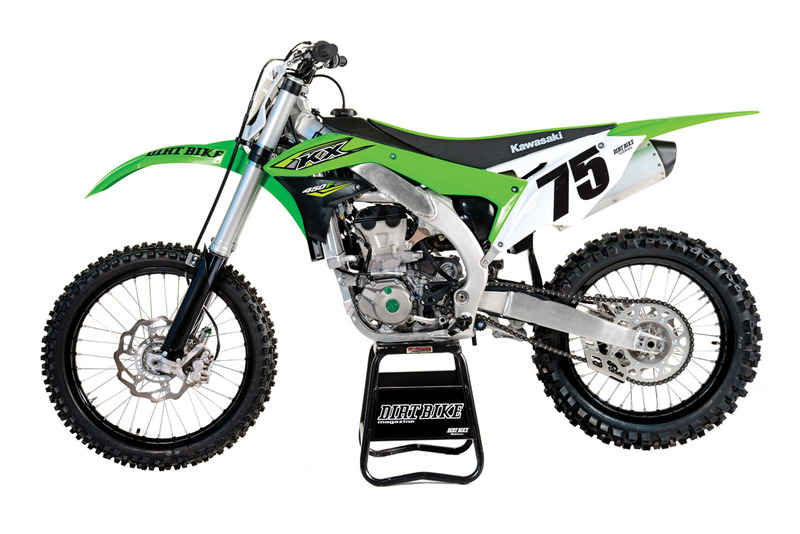 When the KX450 was redesigned for 2016, it was already on top of the class. It had a history of finishing at the top of most shootouts, and Kawasaki didn’t want to upset the order of things. So even though the bike was mostly new, its changes were conservative. It already had most of its new-think features in place—the Showa TAC air fork and a number of electronic features. The new stuff mostly revolved around losing weight, becoming less bulky and getting new styling. The motor looked the same, but had changed offset in the top end, a new piston, a new head, a new throttle body and a new pipe. Most of the gears and even the cases had lost weight. The bike had two big improvements over its predecessor—it lost about 7 pounds, and it was 6mm narrower across the middle where you grip the bike with your knees. It was a big improvement on an already excellent motorcycle.A few years earlier Kawasaki had been first with a number of electronic features. Launch control was a Kawasaki invention that is now featured by all the major manufacturers except Honda. It’s activated by a handlebar-mounted button that you press for better traction off the start gate. The bike also lets you alter the power delivery by changing to different color-coded electronic plug-in couplers that sit behind the front number plate. Additionally, Kawasaki has an optional handheld mapping tool that lets you change fuel mapping as well as spark advance. The bike got Kawasaki’s version of traction control in 2015. This manages traction by guarding against rapid spikes in rpm. Unlike KTM’s traction control, the Kawasaki’s is always on.The KX’s most controversial technology has been in place since 2012. At its introduction, the Showa Triple Air SFF fork was considered the most sophisticated air fork offered on a production bike, and it hasn’t changed much since then. It uses a balance chamber to oppose the main air chamber and more effectively mimic the action of coil springs. Additionally, it has a low-pressure outer chamber, making it a very complicated piece of technology. The task of tuning the fork got dramatically simpler when Showa came out with a phone app that lets you simulate changes in one chamber or another and see the end results on a curve. You could, in theory, add air to all chambers and end up with a softer fork. For 2018 Kawasaki has made no significant changes to the KX450F. It’s offered against a new Suzuki, a new electric-start Yamaha and a Honda that’s newly fitted with electric start. The KTM and Husqvarna are almost unchanged for 2018, but are coming off several years of continual change. That sets up Kawasaki’s new role as the conservative choice. 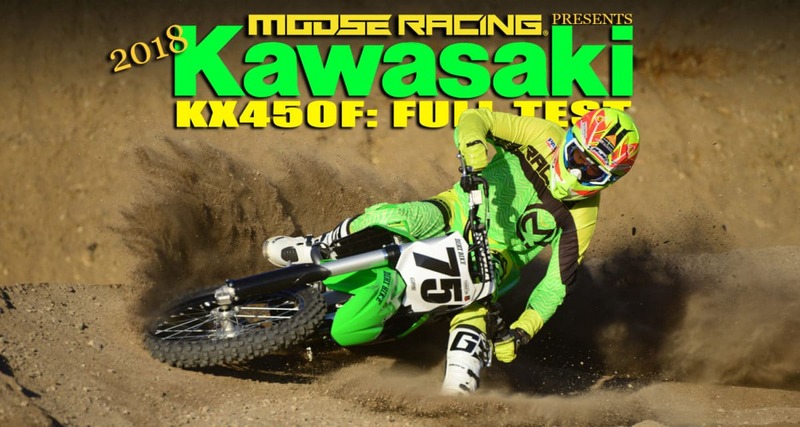 Two years after a major revision, Kawasaki has assumed the most conservative role in the 450 market. 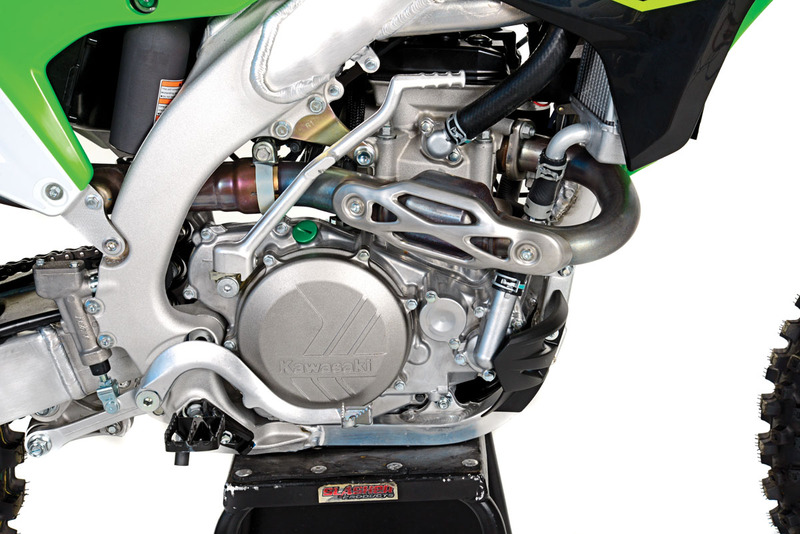 Kawasaki and Suzuki are the only 450s that come with kick-starters instead of electric start. Kawasaki chose this path to save weight. 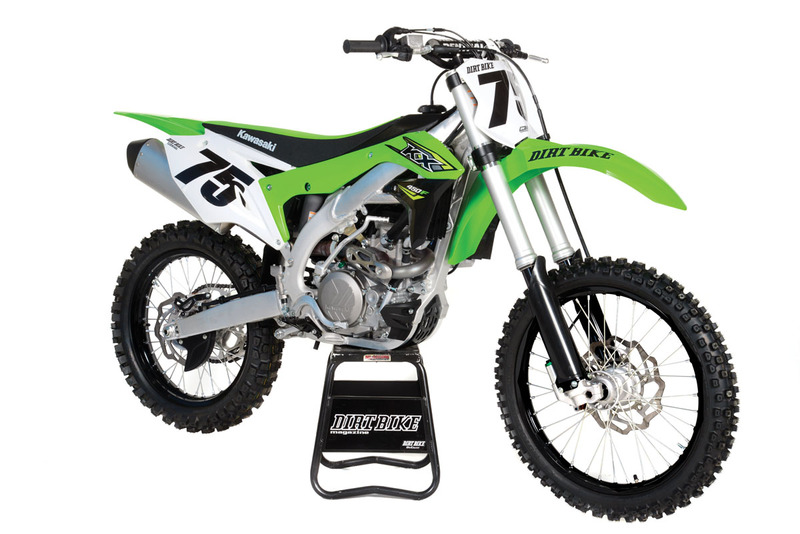 The KX450F weighs 231 pounds without fuel on the technologically unsurpassed Dirt Bike scale, which makes it the lightest of the Japanese 450s. It still is 7 pounds heavier than the two Austrian machines, both of which have electric start. Regardless of that, weight simply isn’t an issue when you ride the KX. It feels lighter and more manageable than the Yamaha and even the Honda. You never get the feeling that it’s a real porker. In terms of handling, the KX is very middle-of-the-road. You wouldn’t call it a real cut-and-thrust machine, but it turns reasonably well and is still reasonably stable. These neutral manners have served Kawasaki well; they’re the reason that the bike is so universally liked across a broad spectrum of riders. There are riders who absolutely don’t like the real-wheel steering characteristics of the Yamaha, and there are others who care for the overactive feel of the Honda. You won’t find anyone, however, who complains about the KX’s overall handling. It’s been like that for years now and is one of the reasons for the bike’s success.The same can’t be said about the Showa TAC air fork. This is the KX450F’s most divisive feature. On one hand, most riders acknowledge that the fork is so adjustable that it has the potential to be the best front suspension on the market. On the other, it rarely works well in the real world. The problems are usually owner-related. The pressure in one of the three chambers might be out of whack, and the rider tries to compensate in the wrong place. That’s why the aforementioned phone app is so important. It gives you the proper place to start and tells you clearly what each change will do. Stock, the settings are supposed to be 160 psi in the main chamber, 14.6 outer and 174 balance. If you want to make life easier for yourself, stick with that and compensate with the damping clickers. If you’re lighter or heavier than the typical rider, work with the main chamber and then use the balance chamber for ride height (higher pressure means lower height). For what it’s worth, our 170-to-190-pound riders settled on 155 main, 13 outer and 180 balance as a good all-around setting that was cushier than stock. 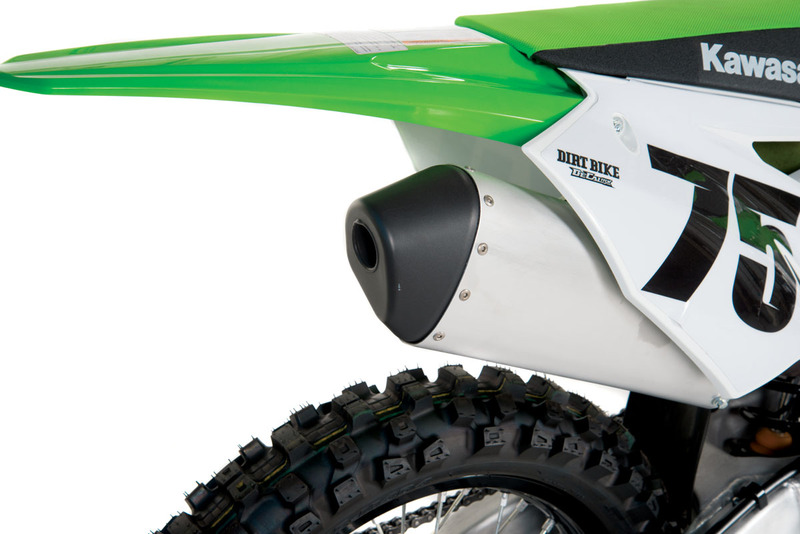 The rear end of the KX isn’t nearly as complicated. If you set the sag around 100mm, you can then use high-speed compression damping to make the ride height feel right for any given track. Low-speed compression is straightforward and only needs to be increased for really rough tracks. The Kawasaki rear shock has an impressive ability to please without much fuss.POWER SWEEPSAs of 2018, the KX has the mildest power output of any 450 MX bike. Kawasaki seems to have bowed out of the race as peak horsepower has climbed into preposterous levels. On the FMF dyno, the 2017 version produced almost 3 horsepower less than the KTM, Husky, Honda and Yamaha at peak (around 9500), and then fell off dramatically. But down in the basement, around 6000 rpm, the Kawasaki had a 2-horsepower advantage. You learn to ride the KX accordingly. The bike is at its best when you shift early and torque your way around the track. Having an edge on top might sound appealing, but you need to be honest with yourself—are you one of the elite pro riders who really needs it? Novices are better off riding at low Rs, although even they might suffer a little when the Kawasaki’s low ceiling forces an extra shift before you run out of straightaway. You can get a little more peak power with the white coupler, which seems to be everyone’s favorite. Kawasaki’s optional EFI Calibration tool allows you more tuning options, but it sells for $700. Yamaha’s new phone app does the same thing for the new YZ450F, and it’s free. Kawasaki is loud to the ear and has an annoying pop on deceleration. It bothers some riders, while others don’t notice. It’s easy to pick on the KX in the detail department. We don’t like the hard, short grips; the loud muffler; or the way the bike pops on decel. The 7/8-inch handlebar seems like a relic from the past, the brakes are unexceptional and the clutch feels weak. We also miss electric start; once you’ve gotten used to it, it’s hard to go back. On the other hand, Kawasaki is the only manufacturer that allows you to lower the footpegs, and it has the lowest MSRP in the 450 class. The KX is about $750 less than the KTM. That might not buy an electric starter, but it will sure get you a lot of grips and bars! Kawasaki’s new role in the market is clear. It’s the one machine that fits everyone. It has all the potential to win in the pro ranks without alienating novices and vets. The price is right, the suspension can be the best in the world if you have patience and it can win at any level. With so much chaos in the 2018 450 class, it might be the smart place to ride out the storm. Weight, no fuel: 231 lb.